For today's wallpaper we're combining the two biggest stories from Leap Day: the Ferrari F12 Berlinetta and the Audi R18 E-Tron Quattro. The result? 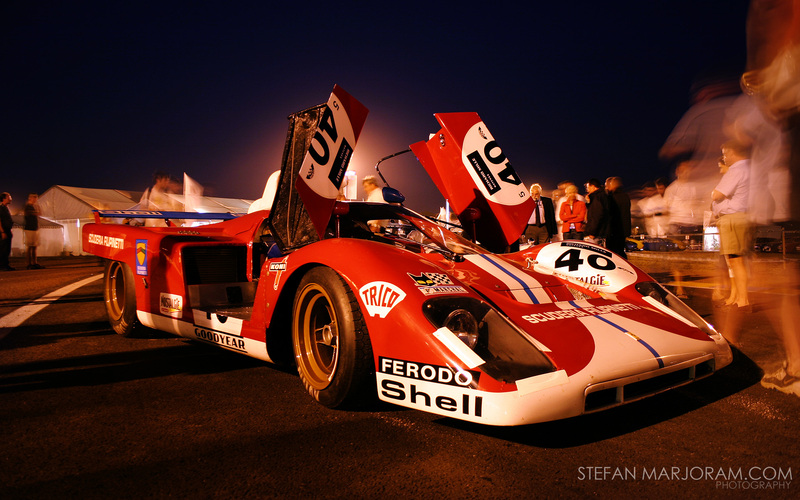 This lovely Ferrari 512 F. The lighest of the 512s, chassis #1048 pulled a DNF at Le Mans after Mike Parkes spun the 800-kg car (more about that here). 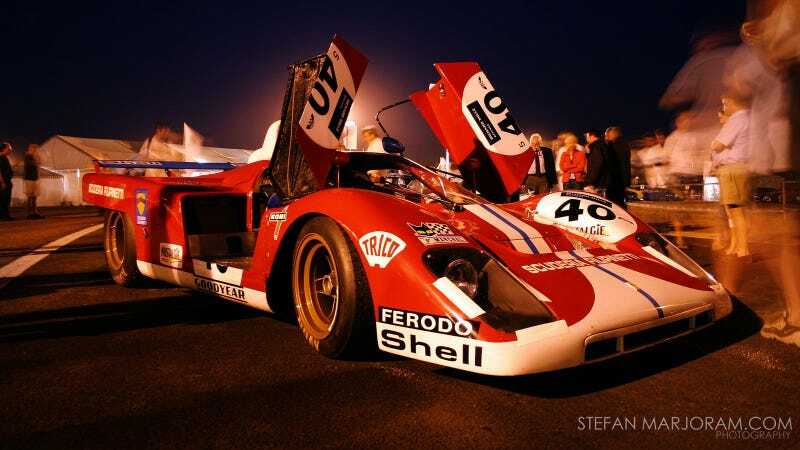 What it lacks in racing success it more than makes up for in beauty, as shown in this wonderful photo from Stefan Marjoram at the 2004 Le Mans Classic. Enchanting.